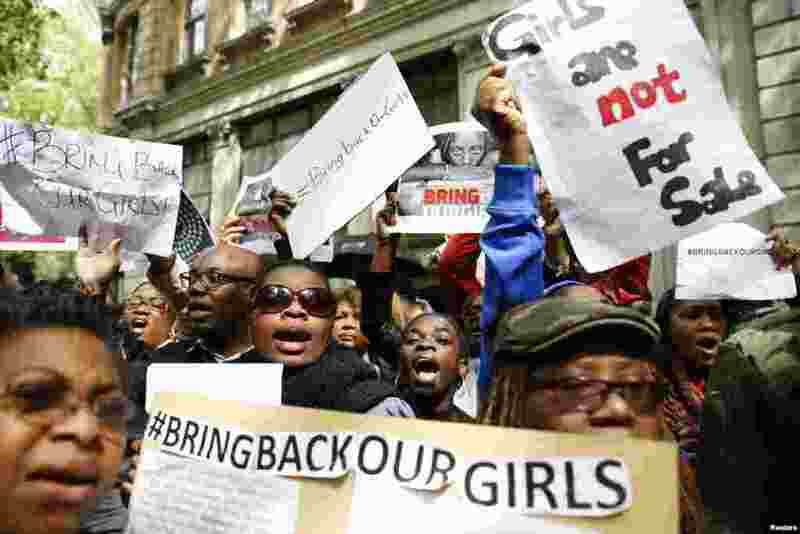 1 Protestors demonstrate against the kidnapping of the schoolgirls in Nigeria, outside the Nigerian Embassy, London May 9, 2014. 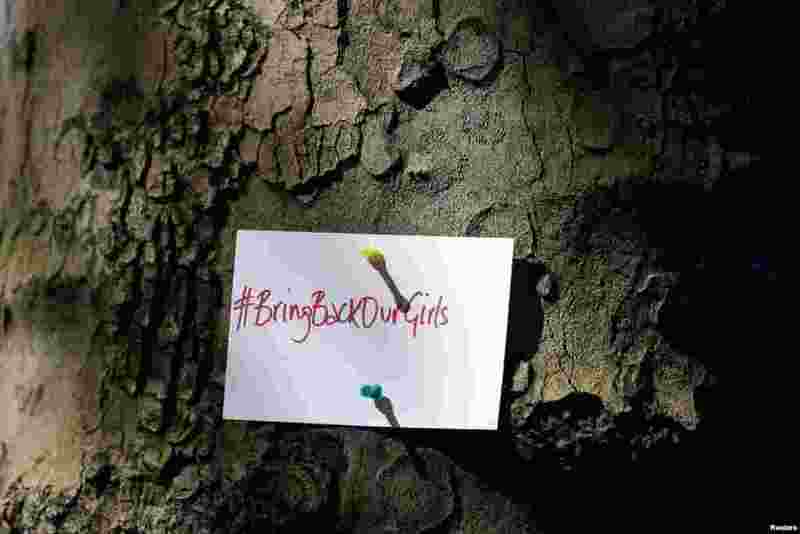 2 A sign is pinned to a tree during a demonstration against the kidnapping of schoolgirls in Nigeria, outside the Nigerian Embassy, in London, May 9, 2014. 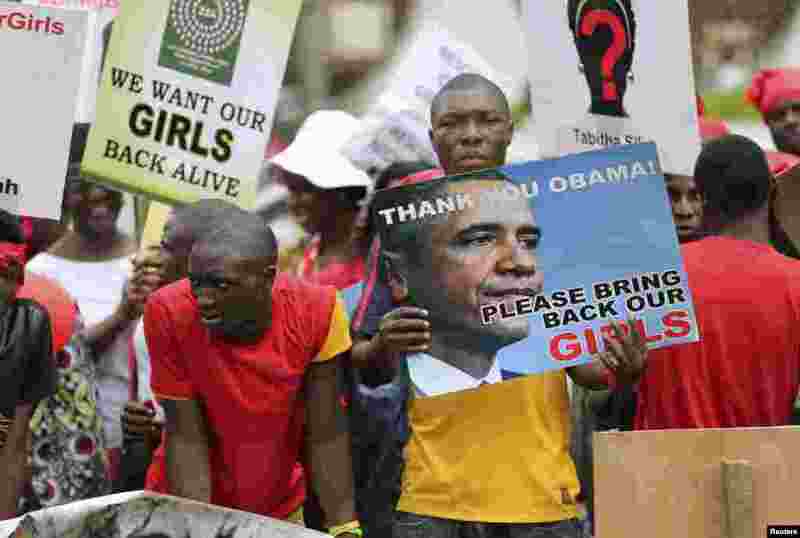 3 People carry signs as they attend a protest demanding the release of the schoolgirls who were abducted from the remote village of Chibok, in Lagos, May 9, 2014. 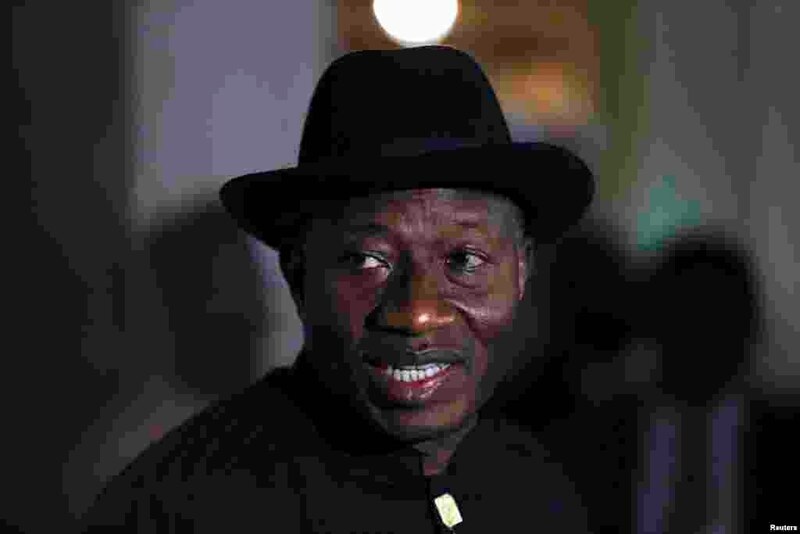 4 Nigerian President Goodluck Jonathan speaks to the media on the situation in Chibok, saying he believes that the girls are still in Nigeria, Abuja, May 9, 2014.